As another academic year has launched, and I begin my fifth year as dean of this storied and historic institution, I find myself more energized and hopeful than perhaps at any point in my time here. That hopefulness is grounded in an abiding sense that the good work that we have been called to accomplish is more necessary, more relevant and more important than perhaps even I realized and appreciated. Much in our society suggests otherwise, for the place and role of religion in the public square is increasingly perceived as marginal. Yet as I visit our alumni near and far, I see substantial evidence for the increasingly central role people of faith are playing in making our society and our churches more just and more faithful. 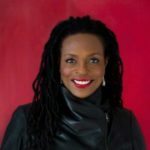 They are holding governments, denominations and local communities accountable to their expressed ideals, and they are troubling the waters of complacency and the status quo sufficiently enough that the most vulnerable and marginalized are finding advocates and finding ways for their voices to be heard. Nothing makes me prouder to be the dean of Drew Theological School than witnessing this work and, at times, getting to share it. Closer to home, The Forest is abuzz with new life and energy. We welcomed over 120 new students this fall, the largest incoming class we’ve had in nearly a decade. Our newest students come from across the nation and the globe, and represent the cultural, religious, racial and national diversity characteristic of Drew. We are thrilled about the success of our recruitment this past year, and it is largely a result of the continuing loyalty of our alumni and friends that many of these new students are here. We also celebrate the refurbishment of our learning spaces in the original seminary hall, which today look quite different from what many will remember. These renewed and lively spaces reflect the dynamism of the teaching and learning that continues to fill Seminary Hall each day. Students and faculty fill Craig Chapel for the 2018 matriculation ceremony and book signing. We also welcomed new faculty to our community of scholars. The Rev. Dr. Jennifer Quigley joined us as assistant professor of New Testament and Early Christian Studies, and the Rev. Dr. Meredith Hoxie-Schol joined us as director of Doctoral Studies and assistant professor of Education and Leadership. Current faculty also assumed new roles, namely Professor Mark Miller as director of Craig Chapel and Professor Kimberleigh Jordan as assistant professor of Religion and the Arts, and Black Studies. We also celebrated the well-earned promotion to full professor for Dr. Laurel Kearns, professor of Ecology, Religion and Society. This fall we also launched new curricula across five of our six degree programs. This is the result of two years of labor and creative redesign on the part of our faculty, and the early results of their labor are proving successful. The new curricula are characterized by clear vocational pathways and a shared core curriculum in each that emphasizes training rooted, innovative and courageous leaders for church and society. While this curriculum transformation has been a major undertaking that has dramatically reshaped the culture and rhythm of our school, it is but the first stage of a larger transformation. In Phase I we largely focused on our Madison-based program offerings, but in Phase II we are planning for an expansion of our programs to those at a distance from New Jersey, hoping to make the education we offer here available to even more people across the globe. Please stay tuned for future news of our expanding learning opportunities. On October 2-4 we are also pleased to host our annual Tipple-Vosburgh lecture series. This notable series of lectures has a long and distinguished history in theological education for bringing to campus those at the forefront of innovative movements in the academy, church and society. This year will be no different. As part of our Tipple-Vosburgh lectures, we will launch our Social Justice Leadership Project, a public theology initiative funded by the Henry Luce Foundation. 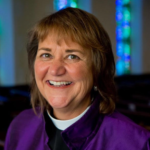 To help us begin this good and far reaching work, we will welcome Bishop Karen Oliveto, Rev. Brian McLaren, Dr. Otis Moss, Jr., Dr. Jacqui Lewis, and many others notables who will challenge and inspire us by their work and pubic witness. Bishop Oliveto and Dr. Lewis will both be honored with distinguished alumni awards. I hope you will make every effort to journey back to The Forest for this event, for I promise it will be a time of renewal and reconnection. There is so much more good news that I could share, but space and your patience for my enthusiasm limits what is possible. Instead, I invite you to visit us in person or to explore our website for more information. I also conclude by appealing to your generosity for support of your beloved school. These are challenging days for theological education and all of the good work we are attempting to accomplish can only be done with the support of our generous alumni and friends. Today, more than ever, a gift to Drew Theological School will help to ensure our future and future thriving. Please visit University Advancement and select the Theological School Annual Fund. Please give generously and help us continue to do the transformative, impactful work that the church and the world so desperately need. This fall we welcomed an entering class that for the second year in a row included more than 100 new students across degree programs. After years of numeric declines we are stabilizing enrollment by prioritizing the student experience, increasing support, and expanding delivery and content offerings. In May 2017 the faculty of the Theological School voted on a curriculum transformation that entirely overhauls the MDiv and MA degrees, creates new degree programs in ministerial innovation and community engagement, and will launch a fully reconceived DMin. Be on the lookout for more information about these exciting curricular innovations that begin in Fall 2018. In the last year Drew has had great success securing external funding for the new programmatic and curricular directions we are pursuing. These include significant awards from the Luce and DuPont foundations, the Association for Theological Schools, the Wabash Center, and the General Board of Higher Education and Ministry, to name a few. 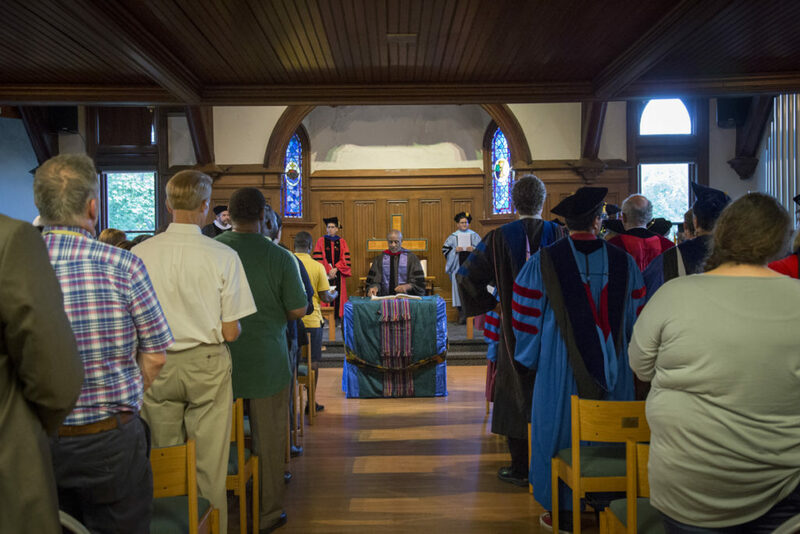 This external reinvestment in Drew Theological School enables us to continue the innovations we have begun, to invest more deeply in the ministerial and scholarly formation of our students, and energizes us to expand our offerings both on campus and well beyond. 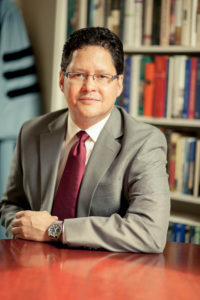 As part of the continued revitalization of Drew University, the Theological School has been deeply involved in the university’s process of academic restructuring. The process aims to bring the work of the three schools into greater alignment and increased cooperation. This will allow us to have joint degree programs, expanded curricular offerings, and create new interdisciplinary initiatives drawing on the strengths of faculty and other resources across the university. I can think of no better way to celebrate our 150th anniversary than by sharing with you the good news of our growth and increasing vitality. At Drew Theological School we remain committed to renewing the church, the academy, and the world “by responding to the urgent challenges of our time with rigorous, independent, and imaginative thought,” and by “empowering creative thought and courageous action to advance justice, peace and love of God neighbor and the earth.” These words from our University and Theological School mission statements capture the essence of our work. It is a privilege to be a part of this effort, and it is an honor to be able to share in that good work with you, our generous and committed alumni and supporters. Thank you for all you have done and will continue to do to strengthen our mission and inspire our work in the world. 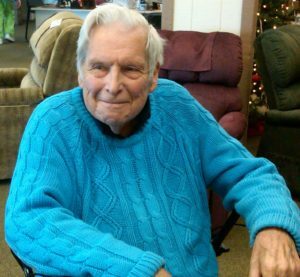 David McConnell Graybeal, who taught in the Theological School for 55 years, passed away at his home in Morristown, Tennessee, early in the afternoon on June 2, 2017, just two weeks shy of his 96th birthday, surrounded by his loving family. He lived a long and fruitful life and made a lasting impact on those who knew him. After serving in the Navy in WWII, he attended seminary at Yale and earned his PhD in the sociology of religion. 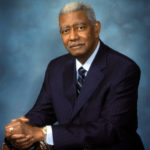 Subsequently he served several churches in Etowah, Tennessee, area and then as chaplain at Emory and Henry College until 1956, when he and his young family moved to Madison, New Jersey, where he joined the faculty of the Drew Theological Seminary. He taught at Drew from 1956 until his “retirement” in 1996, but stayed on part time for 15 more years as an emeritus. He was a passionate and dedicated teacher, and delivered his favorite course, “The Good Community,” for more than 40 years. When he finally stepped away from teaching, accolades from more than five decades of former students poured in, illustrating the profound influence of his teachings. He was, above all, a curious man, relentlessly fascinated by the workings of the mind and soul, a lifelong explorer who interviewed everyone he met: “And what do you do?” “How do you like that?” “How did you decide to get into that kind of work?” “What do you like to do when you have time off?” It was hard to get him to talk about himself, because he just wasn’t interested in talking about that. He was an optimist, a believer in the essential goodness of people, certain that things would and will work out in the end. He will long be remembered for his teachings, his encouragement for all who encountered him and as a role model for a life well lived. He is survived by his wife, Shirley, and her son, Chris Wallace, his wife Tonya and their two children, Miracle and Heaven. He is also survived by his former wife, Marjorie; daughter Jean and her husband, Vince; daughter Lee, her son, Daniel Peifer, and his wife, Samantha; son, Clay, and his wife, Deb; brother, Pat, and his wife, Jill; and sisters-in-law, Jamie and Anne, and many nieces and nephews. He was preceded in death by his parents, Henry Clay and June McConnell Graybeal; brothers Charlton, Burke and Bill; and sister, Claire. The funeral and memorial service will be held in Emory, Virginia, in the coming weeks. In lieu of flowers, the family requests that any tributes be directed in his memory to the appropriate scholarships either at Emory and Henry College (contact Monica Hoel, Director of Alumni Affairs at mshoel@ehc.edu) or Drew Theological School in Madison, New Jersey (Kenneth Alexo, Jr., Vice President for University Advancement at kalexojr@drew.edu). 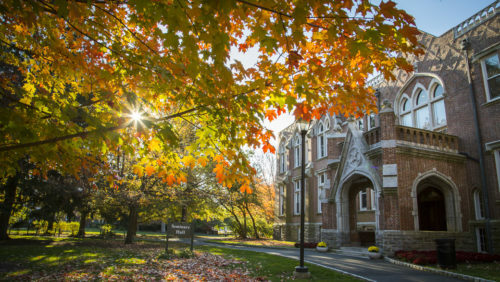 As the faculty and staff of Drew University Theological School, we write pained and in grief because of the recent rulings of the Judicial Council of the United Methodist Church. 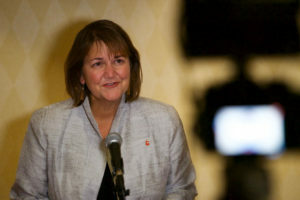 This statement is a response to those actions that bring into question the validity of the consecration to the episcopacy of our alumna, Bishop Karen Oliveto, and threatens the effective and faithful ministries of LGBTQI clergy and candidates in the UMC, including many of our students, alumni, and faculty. We recognize that the United Methodist Church has wrestled deeply for decades with matters of inclusivity with regard to marriage and ordination of other than self-avowed, practicing heterosexual people, and that we hold different understandings of human sexuality and orientation. We read scripture differently. We see God powerfully at work in the world in differing ways. Yet, we are bound together by our profound faith in Christ and our conviction that the grace and mercy he taught still has the power to heal and restore a broken world and a broken Church. So, especially now, we speak out on behalf of those in the United Methodist Church who fear for their status and influence as church members, candidates for ordained ministry, clergy, and as episcopal leaders, celebrating their ministries and their divinely given sexual identities and orientations. Our Church has been at difficult crossroads throughout its history. 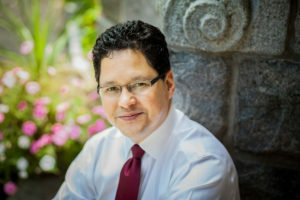 It was not that long ago, 1968 for example, that a sizable contingent within our Church strongly advocated for the continuation of the jurisdictional system–created in 1939 to formalize white supremacy in the Church–so that regions would have certain autonomy and “protection” to make their own decisions, in that case to secure racial hierarchies and prejudices. Yet today many in those regions that insisted on jurisdictional autonomy question the legitimacy of the Western Jurisdiction to elect the person they most believed the Holy Spirit was prompting them to select as their next episcopal leader—an Elder in good standing, with a proven track record of faithful, effective leadership, and the senior pastor of one of our most thriving congregations. The irony is not lost on us. We commend the Judicial Council for recognizing these restraints by preserving the right of the Western Jurisdiction to freely nominate, elect, and assign their bishops. It is difficult to appreciate or even conceive of a judiciary process that leaves the United Methodist denomination in such a precipitous position and brings into disrepute “the word of life.” As the Drew University Theological School community, we stand in unity with a United Methodist Church that values God’s people in the many ways that we all contribute to the missional and evangelical aspirations of the Church, and to the wellbeing of the Church and the world. We long for the United Methodist Church to be one in which all of its candidates for ministry, clergy, and episcopal leaders are assessed not in terms of sexual orientation and its expressions, but by whether they, as John Wesley implored, love God and stand with the ones who have no one else: the lonely, the brokenhearted, the impoverished, the voiceless, the imprisoned, the widows, the children. We believe that this denomination, if we will return to our Wesleyan roots, can and will be a place where all people encounter the love and transformative grace of God. Scripture clearly teaches us that God’s ways are wonderfully mysterious and that God’s mission is passionately and effectively advanced by those who sacrificially and faithfully respond to the call of God on their lives. Establishment leaders were regularly surprised, even appalled, by those God used to advance the cause of love and grace. Yet that never seemed to deter God, and it should not deter us. We also take this moment to invite further dialogue with those who may disagree with us. Let us truly be an Acts 15 church that comes together to engage our differences honestly, in love and respect, united by our mission to manifest the radical love and transformative mercy of God in the world.